If you’re a retailer, shopping bags should never be an afterthought. You work hard to get customers in your store and buying your merchandise. You need a shopping bag that can carry you across the finish line. 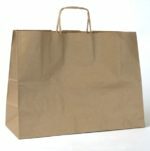 Here’s everything you need to know about buying retail shopping bags wholesale. 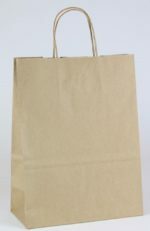 Buying retail shopping bags wholesale is affordable and easy. Even getting them customized to reflect your store’s unique identity is a snap. 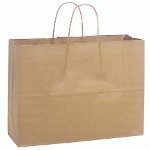 We have all the details on the top shopping bag wholesalers, pricing, and what to consider when customizing your shopping bags. After reviewing top distributors that sell retail shopping bags wholesale, we recommend working with Nashville Wraps. 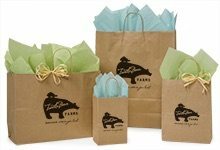 Their competitive pricing, quick turnaround on custom shopping bags, generous terms, and significant shipping discounts, make them a great partner for retailers large and small. 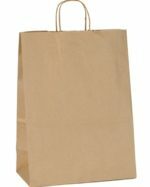 We’ll go into each distributor in more detail further in the article, but here’s a summary of where to buy shopping bags wholesale. * Net-30 and net-15 credit lines are subject to credit approval. 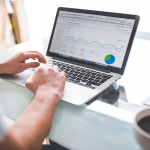 Most companies will check your business and personal credit score. Didn’t know your business even had a credit score? Read our guide and get up to speed. 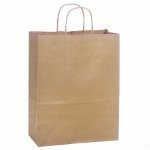 In order to do a comparison between top suppliers, we are considering the most common material for paper bags, in the standard colors kraft (brown) and white, with paper twisted handles. If a supplier did not have one of the exact sizes above, we chose a size that was very similar. For printing and hot stamping, we assume a standard size and a single color is used. It should be noted that every company we mention also sells plastic shopping bags. Only Nashville Wraps sells reusable shopping bags and cotton and/or burlap totes. Nashville Wraps is a wholesale distributor of packaging products that’s been around since 1976. In addition to retail packaging, like shopping bags, they have packaging for gourmet foods and gifts. Their focus on packaging, and packaging alone, might explain their lower prices and quicker turnaround. They have strong customer service and offer a price match guarantee. Also, their sales staff is not paid on commission so you shouldn’t feel any significant pressure to purchase anything other than what you want. Currently, Nashville Wraps is running a discounted shipping promotion that can save you big on your shopping bag order. Their offering $20 flat rate for stock orders of $150 – $299 and for orders $300+ they offer a shipping allowance of up to 15%. Not only that but they offer a net-30 term for qualified businesses. All of this contributed to them being awarded Distributor of the Year from Retail Packaging Association in 2005, 2007, 2008, and 2010. *Sold in cases of 25. Discounts for orders above 4 cases (required to reach the 250 bag total). The Packaging Source is a retail packaging distributor than has been operating for over 30 years. They only sell retail packaging which gives them laser focus. Notably, they have won Distributor of the Year from Retail Packaging Association for the last four years, 2013 – 2016. Their website is clear and easy to navigate, but it doesn’t necessarily list all of their available for products. If there is a product you’re looking for but don’t see on the site, speak with a representative. Chances are they have it or will have it soon. The bags and printing are fairly affordable. Currently, they’re also offering a free plate for custom bags. This is a nice one-time savings, however it might not be enough to make up for the shipping costs that your business will be responsible which were higher than the other companies we reviewed. The Packaging Source offers net-30 (meaning accounts are payable 30 days from the invoice date) to those businesses who meet credit approval. 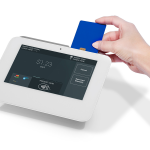 This can be a nice way for retailers to gain a little flexibility with their cash flow. Firefly Store Solutions sells a wide range of products for retailers. They have everything from displays, to mannequins, to retail packaging. They been operating for 60 years and have offices in North Carolina, Illinois, and Texas. 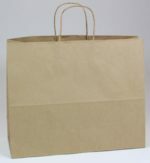 Their paper shopping bags are affordably priced and the printing is affordable as well. That said, they had one of the longer turnaround times for custom bags that we reviewed. Additionally, their net-15 line of credit is half that of the other companies we reviewed. Some of their products are drop shipped from other manufacturers. For this reason, you should verify that your order is in stock and double check the shipping time, etc. Standard ink printing is text and artwork that is pressed on to your shopping bag. This will typically give you a sharp, flat look. One thing to keep in mind is that the color of the ink can be impacted by the color of the bag. 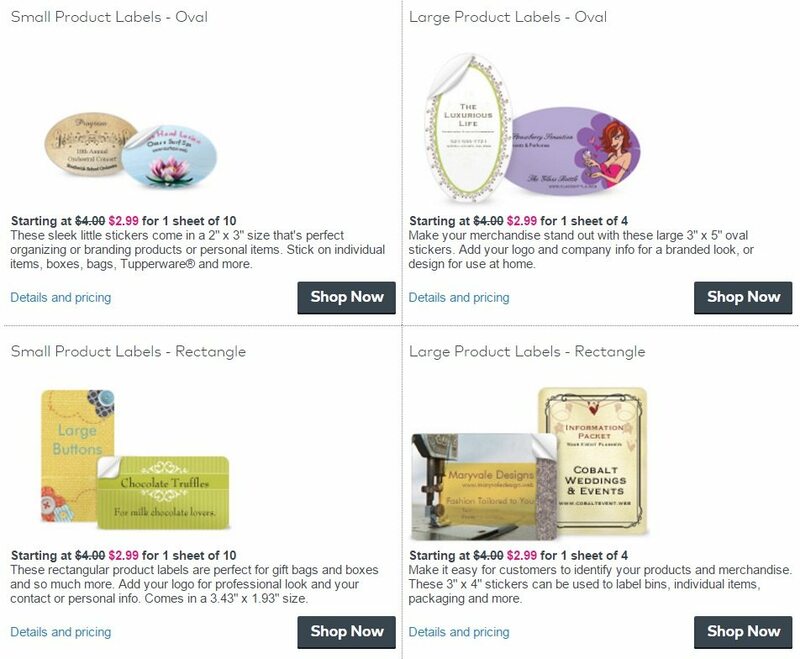 This is typically the most affordable option to customize you shopping bags but may also require a larger order numbers as they are print hundreds to thousands at a time. Hot stamping presses a thin foil layer on the shopping bag. This can be done in a matte or metallic material. It will give you name/logo and embossed look. It ensures the colors remain crisp and bright. Because hot stamping is a manual process that is done one bag at a time, they are typically more expensive than standard ink printing and can take longer to be delivered. 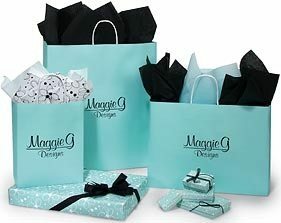 Once you chosen ink or foil for your shopping bags, you’ll need to forward your supplier the artwork you want to use on the bag. Typically this will be forwarded as a JPG or PDF. There may be a small “Art” fee to process a new file to make sure it will work with the printer. This is typically a one time fee rather than per order or per case. Once your art (name/logo) is in, the printer will need to make a plate. The plate is a physical, metal or high-grade rubber version of your art. These can take some time to create and you will likely be charged for the production of any new plate. Most suppliers will consider the image oversize if it is larger than 50 square inches. The plates can be reused so as long as you don’t change the art or the printer, you will not be charge for the plate again. A plate for ink printing will not be able to be used for hot stamping. 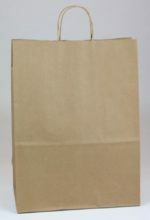 Custom shopping bags will take longer to arrive to you since they are being produced at your request. Typically these order can be fulfilled in 5-6 weeks, but you should allow for more time if the order will require new art and/or new plates. If you business isn’t doing a lot of sales, just needs retail shopping bags for an event, or simply would prefer not to work with a wholesalers, there are plenty of DIY options available. 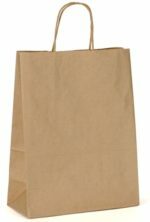 Amazon has a decent range of retail shopping bags available that will work fine for smaller orders. You should note that you’ll probably be paying close to double the wholesale cost. On the other hand, if the product qualifies for free shipping, you might actually come close to breaking even. One downside to ordering through Amazon is that you’re unable to have the seller print or heat stamp your logo or name on the shopping bag. There are two workarounds for this. Potato sacks carry products. 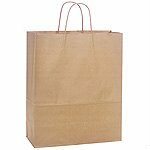 Retail shopping bags maintain customer experience continuity and serve as traveling brand ambassadors. Like any of your store’s branding, they deserve careful consideration. The great thing is that once you have a good shopping bag and a wholesaler that can keep you supplied, it is a task that can basically be put on autopilot. We recommend working with the award winning distributors at Nashville Wraps who can meet almost any retail shopping bag need you have. Does your company logo need a makeover before its big closeup? Get that hot new look at 99designs.